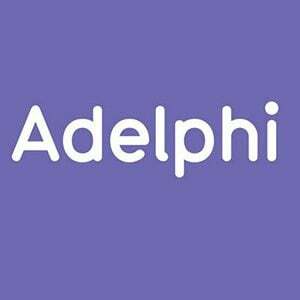 Adelphi offer a one stop service for e-learning localisation. Working with e-learning providers we supply voice-overs in over 76 languages, subtitling, on-screen text localisation as well as typesetting for printed support materials. Adelphi Studio has recorded over 2 million words in over 30 languages for the e-learning industry. Adelphi have been providing support for e-learning production companies such as Catalyst Awareness, providing subtitling and voice-overs to be used in e-learning courses for companies like BUNGE. We are presently working on a 20 language project for an American company that includes voice-overs, on-screen text localisation and editing the Articulate Storyline data. Adelphi can translate not just the text from Articulate Storyline but also localise all of the button and slider content too, as well as adding foreign language voice-overs and subtitles to any embedded videos using translated scripts and voice talents we can provide. We have our own in-house Articulate Storyline engineers who can work directly into your e-learning course. Adelphi Studio produces foreign language and English subtitles, voice-overs, translation, transcription and typesetting in all areas of audiovisual communication, specialising in translated multimedia for e-learning production companies. We understand that every project is different and that our clients each have unique priorities: we will discuss your requirements and explore all of the options with you, looking for the best ways to save you time, money and effort while offering the highest standards of quality. Any language, any specialism: just ask for advice and information. Whether you need a translation into a rare language or your text is highly specialised, we can help. Our translators are specially-selected professionals working within their mother tongue only. Your project manager will match your project to the linguist with the best expertise to handle the sort of text you need translated. Adelphi has offices in the United Kingdom (UK) and the United States of America (USA). For all UK and International enquiries please contact our UK office tel: +44 (0)114 272 3772 or email: sales@adelphistudio.com.